Choose from many different designs and colors! One of our airbrush technicians will help you out! 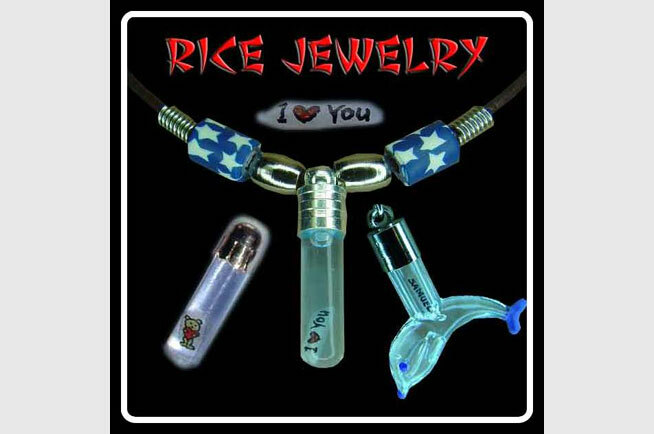 Rice Jewelry is a unique art. Using a fine writing instrument, the artist writes on a grain of rice. 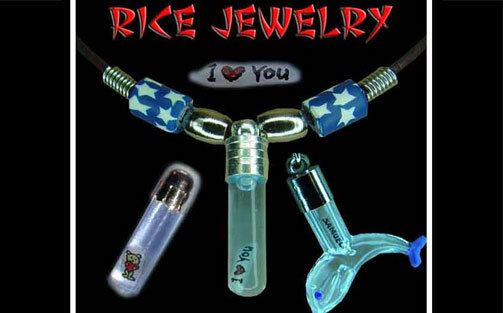 The rice is then sealed into a glass vial of your choice with a magnifying solution. There are many different colors of solution to choose from. You can choose to have this made into a necklace, bracelet or keychain.